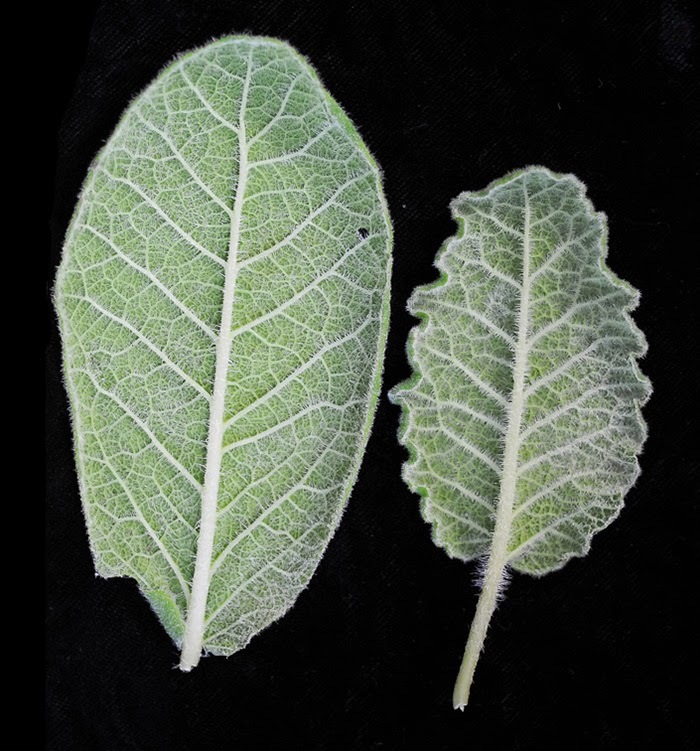 Venation is the arrangement of veins in a leaf. This arrangement can be a distinguishing characteristic of Primula. 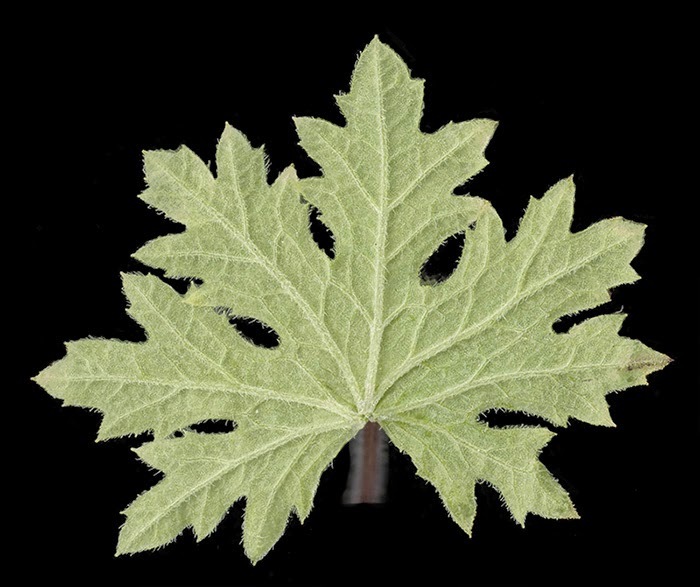 Palmate venation is vein arrangement in a leaf with the principal veins radiate out from a single point, most commonly where the leafstalk/petiole ends, and diverges out toward the edge of the leaf. Only a few Primula species have this arrangement such as: P. latisecta, P. palmata, P. vaginata, P. septemloba, P. alsophila, and P. geraniifolia. Resting No Longer, It's Spring!